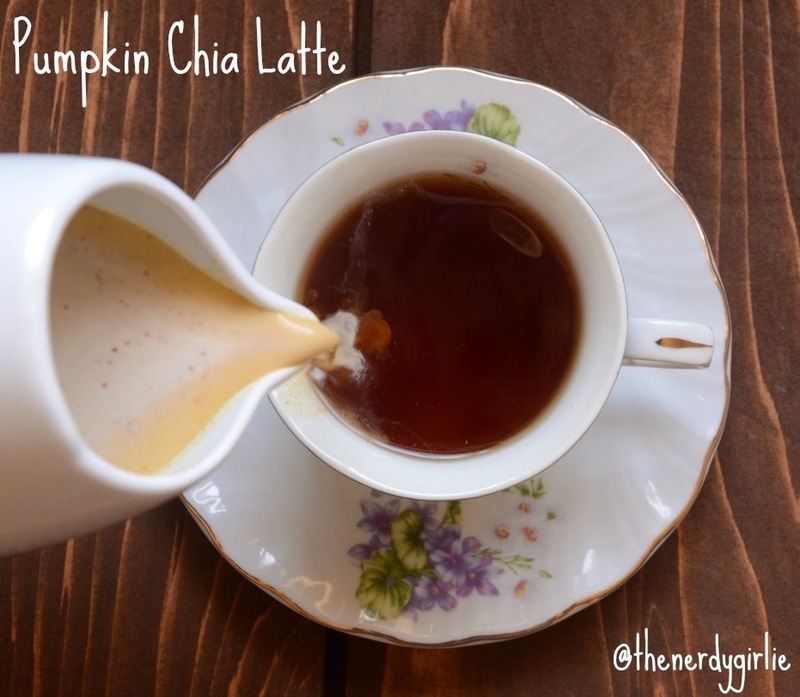 Here is your pumpkin recipe of the week, the perfect lil cuppa: Pumpkin Chia Latte! First let your water start to boil. While the water boils, whisk together all the ingredients in a small bowl. It makes a lot so I'm saving the extra in my cute creamer pitcher for the next time! Add as much as you like to your tea. I'm usually not a huge cream person, but to get the pumpkin-y flavor I added a lot. Pumpkin spice doesn't really exist in Australia. It is really depressing because I love the flavour. I am going to try and recreate this recipe on the weekend. Sounds so yummy. Oh, my goodness! The Inbetweeners is one of my favorites. I love the "cornetto" episode! I re-watched it recently and still laughed out loud so much! I love the Brit version of this show SO much! It's no wonder after I watched it to understand why there's a cult like following of it in the UK. If you loved the Inbetweeners, you should check out Green Wing. It is absolutely bonkers and showcases British comedy at its finest. I love british shows. Netflix does have some cool australian shows. Miss Fischer's Murder Mysteries being one of them. Strong female lead and fun to see Australia in the flapper era of the 20's. That looks really nice, but I must admit, that being an Aussie I don't understand the whole pumpkin flavouring thing. We just don't do it over here, so i have never tried it. This sounds delicious!! I think I might adapt your recipe and make pumpkin spice chai the Indian way. We use loose black tea, chai masala, milk, and sugar all in one pot and let it boil for 5 minutes, then use a tea strainer to pour it out. I can add your ingredients too!